Former Tomorrow’s World presenter Maggie Philbin returned to our television screens last week, taking up a new role presenting science show, Bang Goes the Theory. Maggie’s return saw the show enjoy its highest ever ratings, bringing in an impressive audience of 4.2 million viewers, 16.9% share of the total figures between 7:30 – 8:00pm that evening. As Philbin explains, she's delighted to be a regular fixture on television screens again: “It’s thrilling to be back out meeting some of the leading people in science and technology and discovering the latest ideas on everything from how to manage your identity to how to manage your health.” “Bringing accessible science to a family audience once more is what Bang does best. This year we're focusing on the stories we all care about, the ones where understanding more about the science can make a real difference to our lives." The 57-year-old's vast amount of experience and passion for science made her the ideal candidate for a role on the show. She began her TV career as a presenter on Swap Shop, before going on to spend eight years on one of the BBC's flagship science programmes, Tomorrow's World. Since anchoring Tomorrow’s World, Maggie has continued to keep her finger on the pulse of science and technology, reporting for both the BBC and the Guardian. Her passion and hard work in science have made her a popular figure in the technology industry. In 2012, her hard work was recognised when she won the Communication and Outreach award in Women of Outstanding Achievement, at the WISE Awards Ceremony. She also received an Honorary Doctor of Technology degree from De Montfort University. 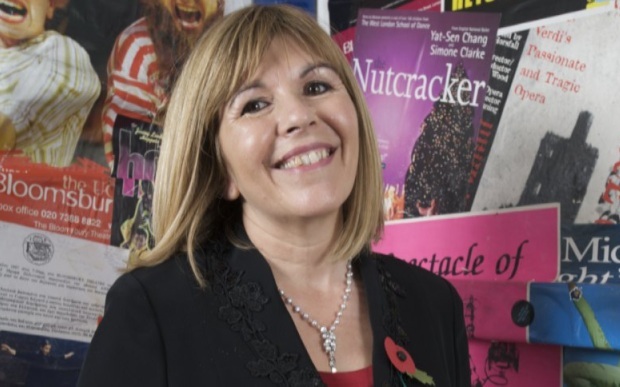 To book Maggie Philbin for your event, contact Prime Performers on 020 7251 8222, complete our online enquiry form or email info@primeperformers.co.uk.